Maud is a successful French entrepreneur. 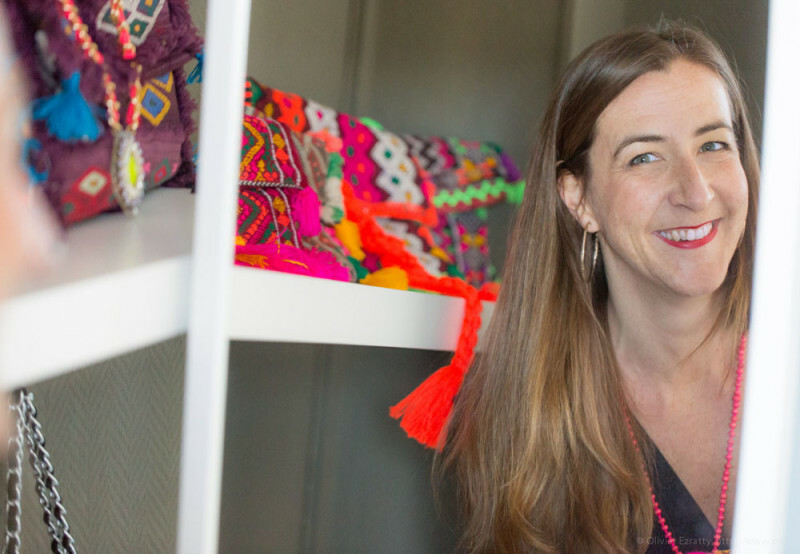 She launched her e-commerce website Matemonsac.com with one goal: to be the Creator of Happiness for Women. Not only did she start her own company and brand but she is also very active in entrepreneurship, which is for her a true passion. Maud who are you? Could you give us a brief overview of your career? I always wanted to work in fashion and set up my own business. So, I took courses which made it possible for me to do so especially the IFM’s 3rd Management Cycle in 1996 then working for various Parisian fashion houses such as Bon Marché, YSL and Sonia Rykiel, for 13 years. I launched my blog in 2008 and in 2009 it became an online store, Matemonsac.com. (by the way: “Mate mon sac” can be translated as “Take a look at my bag”, in French slang). We are currently in the process of becoming a Parisian and digital accessory fashion outlet. In addition to that I created Matemonreseau, a network which has currently gathered over 1 000 entrepreneurs for support and networking purposes. Maud, you are an entrepreneur, a network creator, as well as a commentator on the radio program “L’Entreprise” on BFM Business radio, you are devoted to entrepreneurship…. When did you get bitten by the bug? Why did you decide to get started? I always wanted to start my own business, from a very young age. I thought of several business plans before examining my skills to finally focus on my core vocation: purchasing fashion accessories (bags and jewellery). I got started because I found one day that my desire to do so was stronger than anything else and my ideas had been given time to grow. I gathered my friends and family and told them about my project. Everyone supported me and believed in it, so I took the plunge and would do it all over again if I had to! You created a network of entrepreneurs – Matemonréseau – which currently has over 600 members? What makes it different from other networks currently in existence? Does it have any special features? What motivated you to create it? We are currently more than 1 000! This network is different because it is managed by an entrepreneur who speaks knowledgeably to other members! We all share the same experiences, the same joys, the same fears, the same concerns at different times, we can also support each other and share our experiences … I do all of that with a lot of empathy and goodwill. My goal is for every member to support each other. It is working really well because I get a lot of positive feedback. I also gain a lot from it in either a personal capacity or as Matemonsac.com’s founder since I benefit from the advice of numerous experts in their field. A vision on women’s entrepreneurship? Our approach to entrepreneurship is different from that of men, we have more doubts than they do and are more cautious although it also makes us excellent managers! At present, it has been shown that every business which includes women on its board of directors is more profitable than others ;-). I try to motivate all the young women who doubt their ability to engage in entrepreneurship to do so. More and more women are engaging in entrepreneurship and I am proud to be a part of it! You created Matemonsac in 2009 an online store for the latest and trendiest accessories. What is this original concept? Matemonsac is an online Parisian fashion accessories outlet which focuses on enabling women all over the world to find accessories that create that desired Parisian style! We provide luxury vintage bags and jewellery, accessories by young designers I regularly discover as well as a collection of accessories made by Matemonsac! 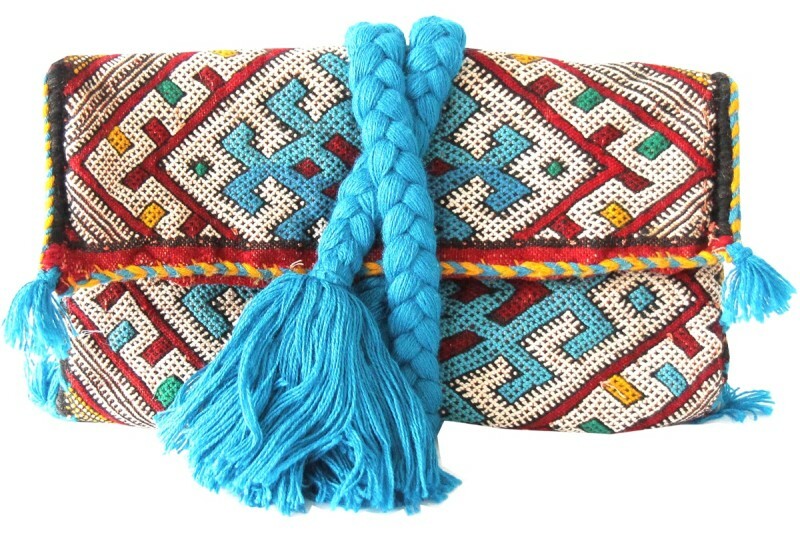 With a “capsule collection” for example of Kilim Clutches, which is particularly dear to me since they are environmentally friendly and fair trade. Created using former kilims by an association of Moroccan women, they all have a unique and individual story. A recent study reports that in spite of e-commerce’s hype, 90% of retail is still carried out via physical outlets in the USA. Some seem to say that e-commerce is not a visible business model on its own. What do you think? What are the opportunities and challenges? E-commerce does not mean the end of retail. I feel that the two are necessary today. Besides, many online retailers are opening shops. We too have ambitions of opening a concept store in Paris! Web entrepreneurship today is an incredible open door to the global market! There are multiple opportunities and numerous challenges because it is necessary to constantly adapt to Google’s new rules for example as well as the emergence of new concepts and competition each day. That requires constant monitoring and allows continuous self-examination in order to evolve! What has been the most important challenge you have had to face in your career/life? The most important challenge I have had to face in my professional life was setting up my business! A young girl’s dream which became reality and it is a daily challenge! I really like your “motto”: “Creator of Happiness for Women”. Can happiness be found in a bag? What is happiness for you? Yes happiness can be found in a bag for a large number of women and I like to say that we are a creator of happiness for women! At Matemonsac, we make women happy: our clients tell us that themselves. On a more serious note, happiness, in my opinion is managing to find a balance between who you are, what you do and who you want to be. How would you define creativity? Why is it important? It is important in my profession because it is necessary to constantly reinvent yourself and be on the lookout for trends and also find new ideas in order to reinvent what we provide our demanding clients. Thanks to my profession, my creativity is “activated” constantly since I continuously meet young designers whose creativity levels are really high. Are you a ”Flâneuse” and if so, how do you practice it ? Is it important? As soon as I travel, I wander. I lose myself in the cities, wander the streets, whether in New York, Marrakech or in a little village in Bali. I love being surprised, getting off the beaten track by avoiding more touristic places. I also take a lot of photos in order to capture the moment, the light or the faces I come across and in order to place them on my blog or my Instagram account. And when you travel on business, do you take out a little time for yourself? I always try to take out some time for myself to actually wander and discover a bit of the country or city I am in. I often travel to Marrakech to create our kilim clutches and love to take the time to go for a stroll in the Majorelle garden or drink mint tea early in the morning at Djema El Fna square when no one is about. Making the most of my travels makes it possible for me to find inspiration for Matemonsac. Are you are a French national who was born in Belgium? It seems to me that you combine the both of best worlds… You live in Paris. What is your opinion of the city? I love Paris, I love it. I have always been a Parisian. Sometimes it feels stifling but as soon as I leave, I miss it and I always feel happy to return. I am filled with wonder each time I travel across it at night … It is a magical city. What are your favourite places? The gardens of the Royal Palace. It is a magnificent place and the shops beneath the arches are amazing. The Mama Shelter bar: It is eclectic, the music is good and the cocktails are unbelievable! Saint-Germain-des-Prés and the Luxembourg Garden, are places of my childhood, they are full of memories for me! Alexandre III Bridge: there you can see the Eiffel Tower for most of the crossing on foot.